Her youngest daughter graduated from high school on a Friday in 2005. 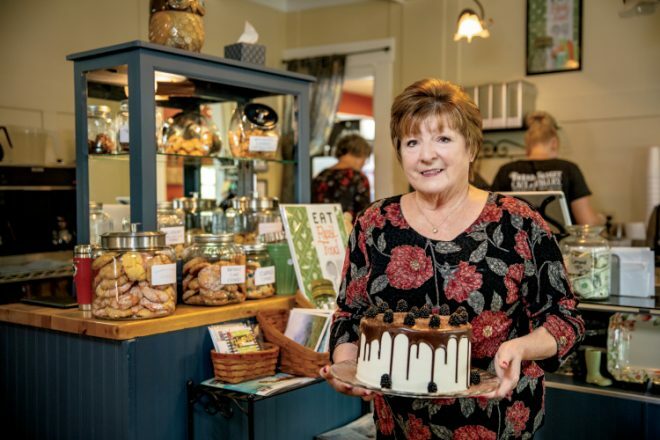 The following Tuesday, Judy Sexton opened the Bread Basket Café and Bakery. “There was no time for empty-nest syndrome,” Sexton says. Thirteen years later, the family business employs a staff of about 30 that has at one time included three generations. 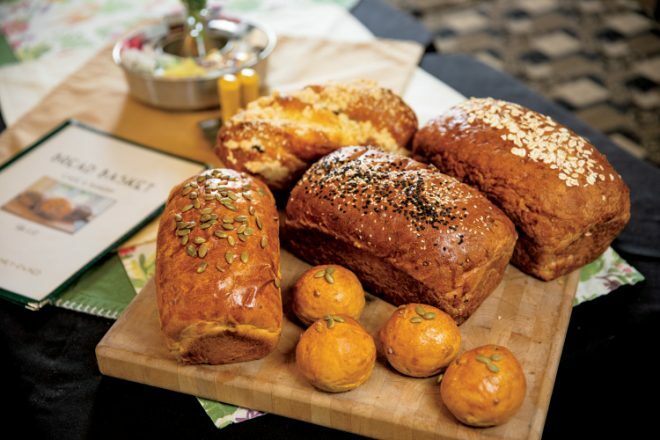 Housed in a 100-year-old home in Danville, the café and bakery provides bountiful breads and decadent desserts along with generous helpings of service, sustenance and support for local farmers and other businesses. “We’re pretty big for a small business,” Sexton says. But it had a humble beginning – with prayer. 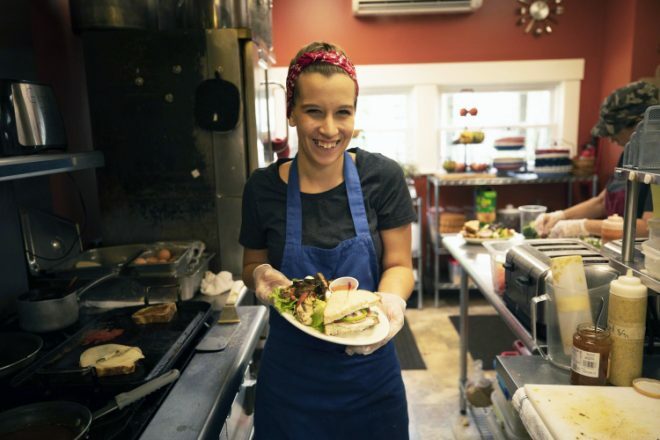 As a young woman, Sexton says she helped her father in a restaurant that he owned, but she never envisioned the work to be her calling or livelihood. After much contemplation, however, she says she couldn’t deny it. The café and bakery was a means for carrying out important, guiding values. “I believe that what we eat should be as good, fresh and chemical-free as possible. I believe in supporting other local businesses and keeping as much of our money as we can in the local community. I believe in supporting family farms,” she says. The café and bakery transforms those beliefs into actions, with as many eggs and vegetables as possible provided by local farmers. Gordon Family Farm in Roachdale delivers eggs twice weekly. 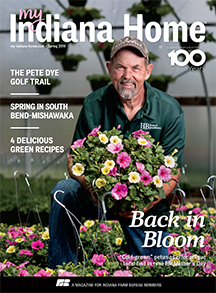 Danville’s Stamper Farms & Gardens provides fresh basil and tomatoes weekly while in season. At the restaurant, the basil is made into pesto and frozen for year-round use. The tomatoes are roasted and, while some are used fresh, others are frozen and used later in soups and sauces. “Roasting really brings out the flavor of tomatoes. There’s a sweetness and richness that’s not there until the tomatoes are roasted. I just love what that flavor brings to soups and sauces,” Sexton says. Neier Farms and Produce in Coatesville supplements many of the eggs, corn, greens and salad mixes, and some crops are provided by other farms. The Bread Basket Cafe and Bakery was featured on The Today Show as one of Al Roker’s favorite breakfasts in America for their Cinnamon Roll French Toast. 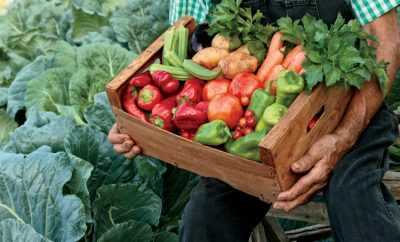 “Working with local farms often means that if I see a need for a specific vegetable, I’ll just tell them and they’ll include it in next year’s crop. That’s a level of customer service you just can’t get from any other type of food supplier,” she says. 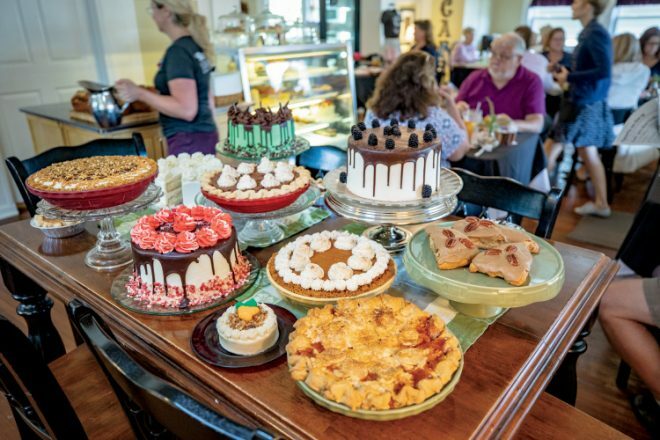 Those local eggs are used in the restaurant’s breads and desserts, and the restaurant is featured as one of 25 stops on the “Hoosier Pie” state culinary trail. In addition to being used in soup and sauce bases, the local produce is featured in the salads and sandwiches served for lunch. “I have no doubt that this is exactly where I’m supposed to be,” Sexton says, even though she admits she wasn’t always certain. As the oldest of five children, Sexton says she began cooking and baking simply out of necessity. If her father could see her now, she says she can’t imagine how proud he would be. Sexton’s days aren’t always easy, she says, but they are always rewarding. “We have an incredible staff working here. The staff understands what a special thing we have, and it feels like a big family,” Sexton says. “Not to mention that we’ve had the opportunity to share our clients’ milestone experiences – weddings, birthdays, deaths, baby showers – and made some wonderful and lasting relationships that way,” she says. 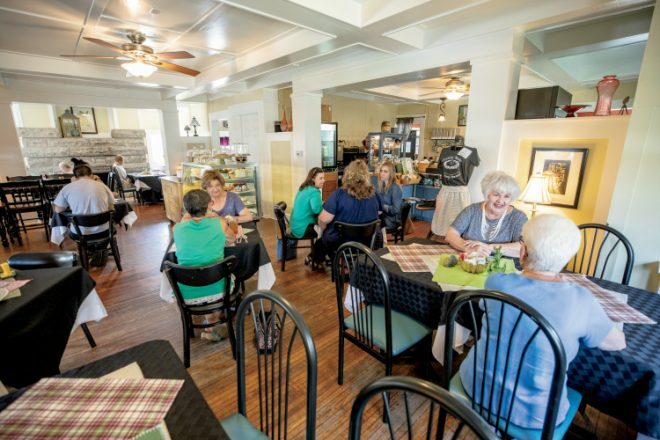 The Bread Basket Café and Bakery is located at 46 S. Tennessee St. in Danville. It’s open from 7:30 a.m. to 3 p.m. Tuesdays through Saturdays and closed on Sundays and Mondays. Reservations are not accepted. 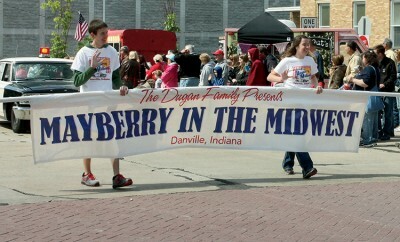 For more information, call 317-718-4800 or visit breadbasketcafe.com. Were you previously in Roachdale, many years back?